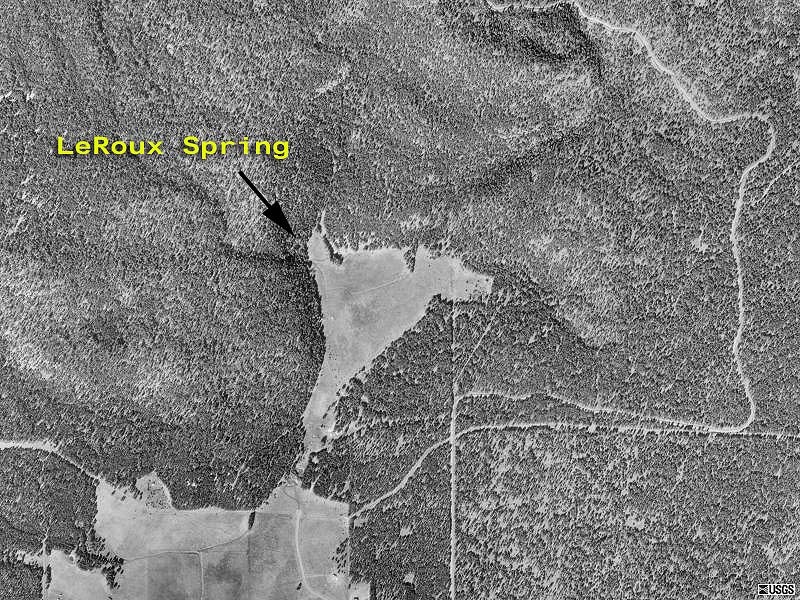 The Rio de Flag originates in several springs on the south slope of the San Francisco Peaks: Little Leroux Spring, Big Leroux Spring, Taylor Spring, and Chimney Spring. The amount of water from these sources is not enough to fill the channel. Since most of the south slope of the mountain drains into the Rio de Flag, heavy thunderstorms and snow melt produce water that flows all the way through town. A heavy snow pack and cool temperatures can result in continual flow well into April. Beside snow pack and temperature, soil structure in the watershed and the character of the stream bed also affect stream flow. The pristine soil on the gentle slope of the mountain has a structure which absorbs moisture, holding it for plants and other organisms with slow release of high quality water over time. Fire can change the soil and its ability to hold and release moisture. The large amounts of paved surfaces in town contribute to rapid runoff of precipitation carrying various pollutants, especially petrochemicals from the street which are poisonous to fish and invertebrates. The substrate of the Rio is basalt, an igneous rock, containing many vertical cracks. Water percolates through these cracks until it reaches the underlying sandstone (containing clay) where it pools or finds other small crevices to follow. While heavy flows can be deep and have the ability to cut the channel, the small amounts of water from various springs normally disappear quickly into the porous stream bed. South of town, there is perennial water at the confluence of Sinclair Wash and the old channel of the Rio. Flagstaff's treatment plant for reclaimed water has its discharge pipe at this location, and there are a couple of ponds there on either side of I-40. 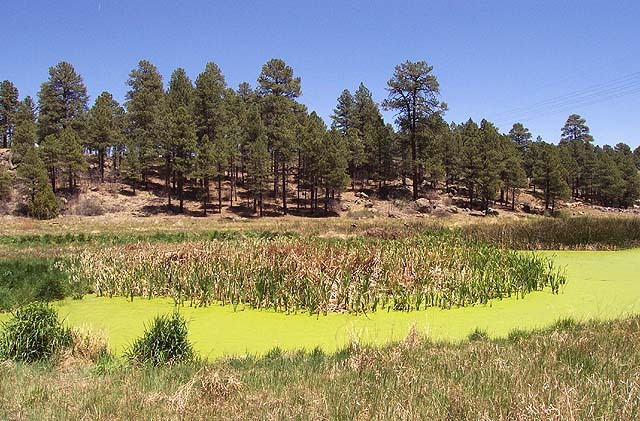 East of the Flagstaff Mall, the Wildcat Sewage Treatment Plant discharges effluent into the Rio, contributing to a perennial flow northeast of town as the Rio heads toward the Little Colorado River. The capacity to carry discharge varies considerably along the Rio. At Meade Lane, south of "The Narrows" at the Museum of Northern Arizona, the capacity is 4,800 cfs. In the center of town where the channel was realigned to its present position between the Flagstaff Public Library and City Hall, the capacity drops to about 200 cfs. Where the Rio intersects with Sinclair Wash at Lonetree Rd, the capacity jumps back up again. Unlike the normal trend of a river to carry larger discharges further downstream, the diversion of the river resulted in a drastic decline in the middle of Flagstaff of the Rio's capacity to keep water in its channel.